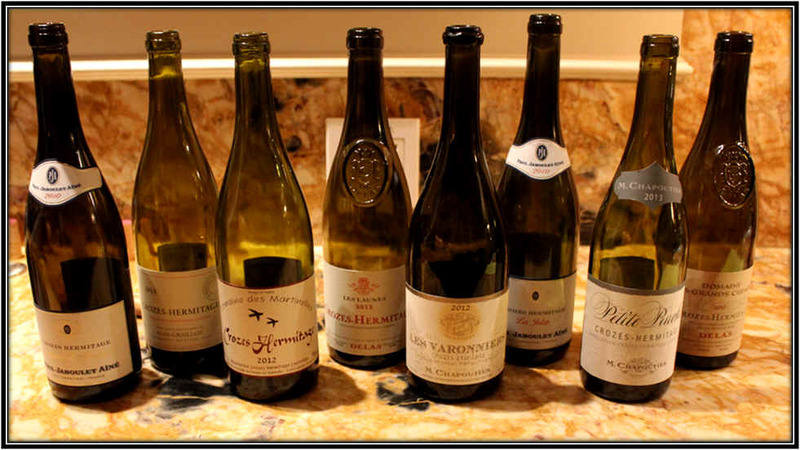 Our June 2015 tasting featured a line-up of red wines from the Northern Rh�ne Valley appellation of Crozes-Hermitage. 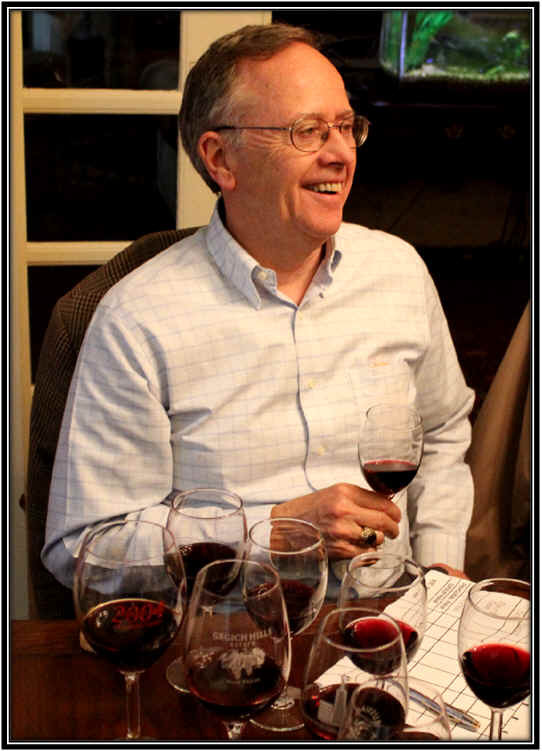 We selected two wines from three well-known large Rh�ne producers, one being each winery's entry-level bottling and the other being a higher-tiered wine. We also had two independent domaines included in the line-up. The wines, of course, are based on the Syrah grape. The appellation laws allow vintners to blend up to 15% white wine, made from Marsanne and Roussanne, if they like. In looking at technical data sheets from these wineries, it appears that virtually all are made entirely of Syrah. We had wines from several vintages, the oldest being 2010 and the youngest coming from the 2013 vintage. The wines, though, did not show themselves to be from radically different vintages. Everything seemed to be good quality and fairly youthful. The prices for the wines ranged from $20 on the low end, to $95 on the high end. Yet there was no correlation in this pricing with our rankings of the wines. The most costly bottle, a $95 bottle from Chapoutier, ranked in 5th place, while the cheapest bottle finished one place ahead! 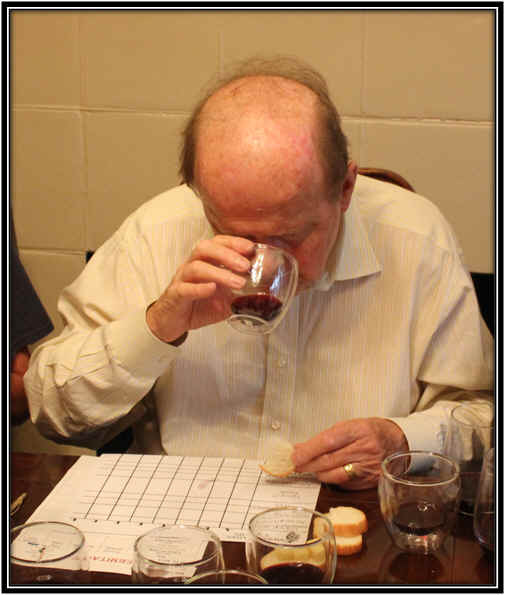 One wine finished well ahead of the group, having 8 first or second place votes from the 9 tasters. 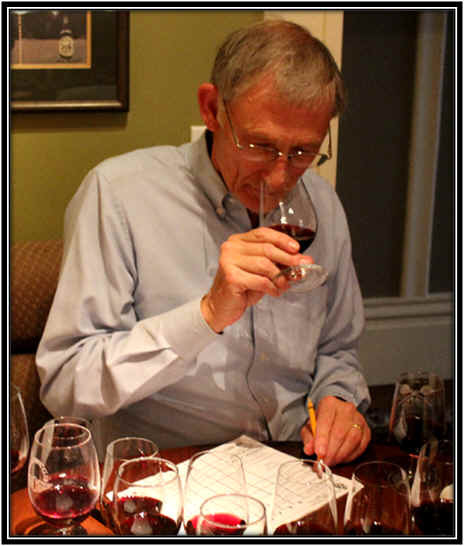 As often happens when the overall quality of the wines is within a narrow band, if you will, there tends to be a logjam in the rankings. Third place through seventh place, then, were separated by a mere 6 points. This means one panel member, by changing a ranking from, say, second place to seventh, could radically change the ranking of the wines. 8th Place: DELAS 2010 CROZES-HERMITAGE "Domaine des Grands Chemins"
Clear in appearance and showing a medium- ruby color, there was an off-putting note to the nose of this wine. It was odd and perhaps the problem might have been from the cork? It was not, though, musty or showing signs of a classically "corked" bottle. The wine was dry and moderately acidic on the palate. It tasted much better than it smelled, so perhaps a re-taste of this would be in order? No stars, though, for this bottle on my three star scale. 7th Place: CHAPOUTIER 2013 CROZES-HERMITAGE "Petite Ruche"
Clear and medium-ruby in color, I was enchanted by the nose of this lovely wine. It displayed a terrific spice note, with a lot of dark fruit and some mildly peppery fragrances. I also found a vaguely floral note on the nose. It's dry and moderately acidic, with medium body. The wine has mild tannins, as it's young (now that we've unveiled the bottle). I found lots of pretty spice notes on the palate and a certain elegance. It was sitting in the middle of my rankings and then I moved it up on the basis of charm and exuberance. It may cellar well for a couple of years, but I'd be inclined to enjoy it now. Two stars. 6th Place: PAUL JABOULET 2010 CROZES-HERMITAGE "Les Jalets"
The entry level bottling from Jaboulet started off nicely. Dark ruby in color and with a clear appearance, this showed lots of black fruit and a touch of pepper spice. It's dry and mildly acidic, with medium body. 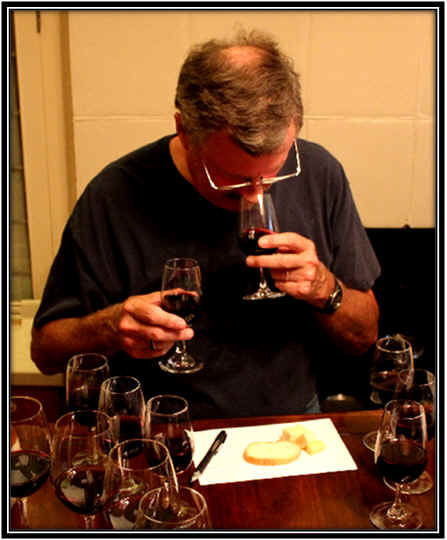 On the palate the notes found on the nose were confirmed, but the wine didn't have much nuance or complexity. It was certainly of good quality, though, merely a bit superficial. It seemed to be at its peak. One star. 5th Place: CHAPOUTIER 2012 CROZES-HERMITAGE "Les Varonniers"
Clear in appearance and showing medium ruby color, there was something a bit odd or curious on the nose here. Maybe it was SO2? 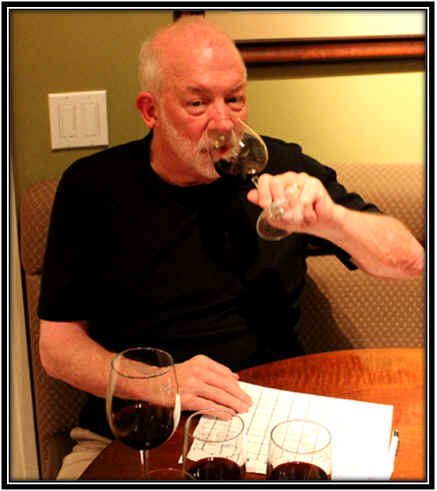 I detected a smoky, odd note which seemed to mask the fruit and spice of the wine all the way through onto the palate. Dry. Nicely acidic. Medium bodied. But there was nothing special about this bottle, frankly and I'm wondering what accounts for the pricing of this, as it costs more than three times the price of their lovely entry-level bottling. Perhaps this was the proverbial "bad bottle"? It was not distinguished and it did not show itself to be something special. No stars for this bottle and a note to re-taste it if possible. 4th Place: DELAS 2012 CROZES-HERMITAGE "Les Launes"
Clear in appearance and with medium ruby color. The nose of this wine is quite showy, with loads of dark fruits and some spice tones. There's a touch of pepper spice here, too. Dry and mildly acidic, it's a medium-full to full-bodied red wine with nice, dark fruit on the palate. There's a lightly spicy quality here, too. It's quite drinkable now and a rather charming red wine overall. It was the least costly wine of the tasting and it showed well. I gave it one and a half stars. Clear in appearance and medium- ruby color, the nose of this wine was perfectly standard and correct, if a bit unexciting. I detected a bit of red fruit, but didn't find it as exuberant or as 'classic' on the nose as some of the other wines. It's dry and mildly acidic, with medium body. On the palate, this is a bit light and monolithic...mildly berryish but it's a simple, standard Syrah with no depth. Perfectly drinkable, though. I'd give this a half a star rating. Clear in appearance, this was very dark and youthful in its color. I found the fruit to be quite ripe and maybe a bit over-ripe. There's a nicely spicy aspect to the nose, but dominated by a kirsch-like quality which made me liken it to some high-proof spirits. It's dry and mildly acidic with a fair lashing of tannin. It's quite young and a bit tannic at this stage, so holding it might be a good idea. On the other hand, it may not be a great candidate for cellaring given the overripe fruit fragrances, so I'm in a bit of quandary as to rating this wine. I'll give it a one star rating for now and I'll be interested to see how it develops with a year, or two, in the bottle. 1st Place: PAUL JABOULET 2010 CROZES-HERMITAGE "Domaine de Thalabert"
Medium ruby in color and clear in appearance, this wine was perhaps the most complex of the entrants. The fragrance offered nice dark fruit fragrances with a bit of garrigue spice. It was decidedly a Rh�ne Syrah on the nose. This is dry and mildly acidic, with medium-full to full body. The palate confirms the elements found on the nose...dark fruits and beautiful spice notes. 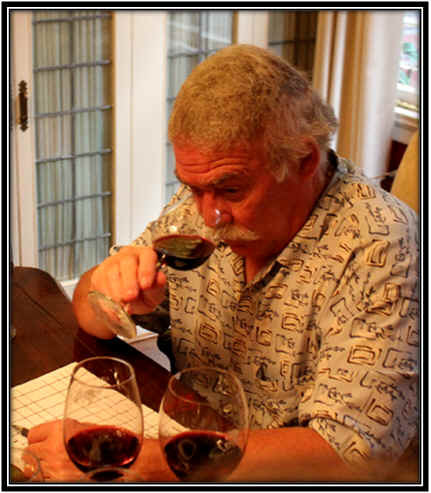 The wine is mildly tannic and would be ideal with Proven�al-styled foods. I gave it a two star rating, which might be a bit low, given it's a somewhat more complex wine than my charming first place pick. This ran away with the tasting all the tasters, except for one, had it ranked first or second.